We had the great honour to win the foodservice industry’s first waste management and prevention award. Founded by Foodservice Footprint, the waste2zero award recognizes companies that show excellence in waste prevention and management. We received the trophy for the Best Product, Technology & Innovation. This is the second Footprint’s award we picked up. Presented during a glamorous party that was held at the Ham Yard Hotel, in London, the award gave forward-thinking companies a platform to showcase their best sustainability practices. It also recognized outstanding performances in this vital area. Waste prevention has increasingly become an important matter for the industry. 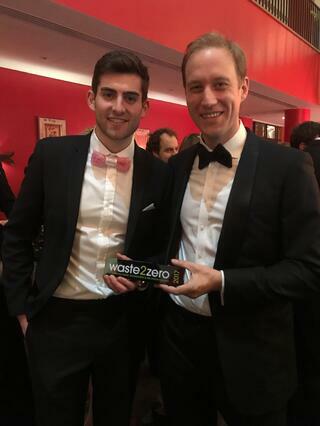 As it was previously stated by Footprint, the founder and organizer of the award: “Waste remains endemic and a mega-trend and one of the biggest challenges to the foodservice and hospitality industry”. And Food waste, in particular, “has emerged as one of the defining sustainability issues of our modern food system”. According to the UK’s Waste & Resources Action Programme (WRAP), in the hospitality and foodservice sector 920,000 tonnes of food is wasted every year. From all these foods, 75% is avoidable. We were chosen by a panel of key players from across the foodservice and sustainability sectors. Judges were looking for companies that could demonstrate how their tech innovations are delivering tangible change. 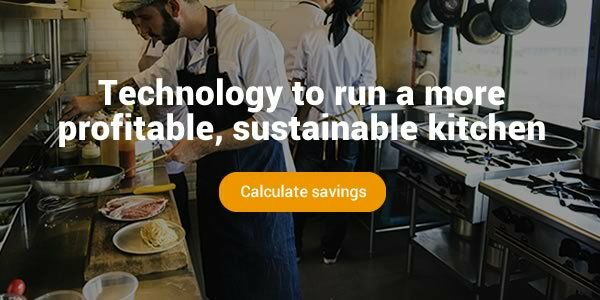 Our cutting-edge technology has proved to cut food waste by half, saving businesses money while reducing their environmental footprint at the same time. With the help of the Winnow system, companies can normally increase gross margins by 3-8%. We have been deployed in hundreds of kitchens, and we’re currently saving our customers over £8.5m in annual food purchasing costs. Philip Verey, Commercial Director at Winnow added: “We are thrilled to have been selected as the winner for the Best Product, Technology & Innovation category. It's hugely encouraging to have such clear independent validation of Winnow's impact as we continue to invest in and evolve our product to help our customers cut costs and minimise their environmental impact. Winnow continues to be trusted by thousands of chefs from around the world, and we are inspired by their success as we partner to fight global food waste”.